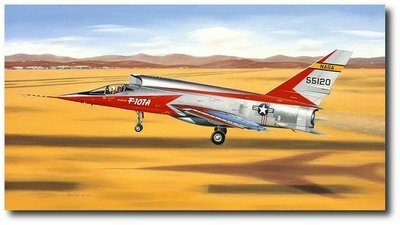 Seventh in the famed "Century Series" of supersonic fighters, the F-107 served as a test bed for North American's X-15 rocketplane, becoming the first aircraft to fly controlled by a side stick. Now commonplace on everything from F-16s and Airbus A380s to even the smallest EAA homebuilt, side stick controllers became state-of-the-art serving to create clean and efficient cockpit environments in many modern aircraft. Although never mass-produced, the F-107 in its unique NASA markings remains a beautiful-looking airplane to this day.